Show how much you love your sweetheart in four different languages on our Personalized I Love You Photo Frame. Say I love you in English, Spanish, French and Italian and express your true feelings for your love by giving this heartfelt Personalized Glass Picture Frame. 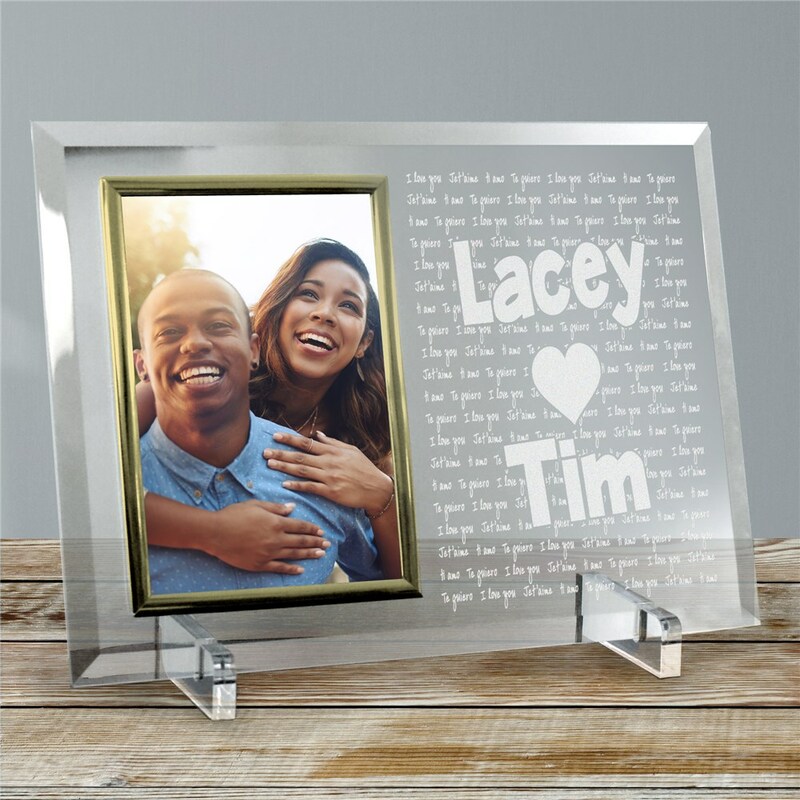 Our Personalized I Love You Beveled Glass Picture Frame is a heavy-weight glass with beveled edges on all sides, accented with golden brass frame trim. Frame measures 8" x 11" and holds your 4" x 6" photo; includes clear easel legs for top display. Includes FREE Personalization! personalize with any couples names. Very nice, exactly what i thought it would be..
Additional Details It is time to get ready for this fun and romantic holiday with Personalized Valentine's Day Gifts from GiftsForYouNow.com. We have a lovely collection of personalized gifts your special sweetie is going to love well beyond Valentine's Day.